Blender 2.74 is out + thank you! 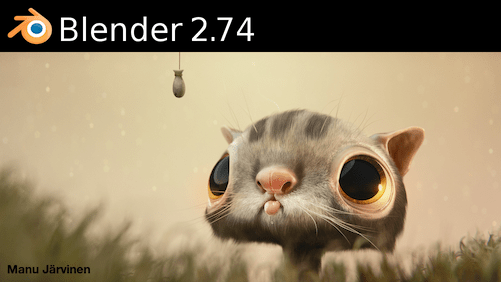 Blender 2.74 is out and, as usual, with many cool new features which you can check here. As for the Sequencer (VSE), the improvements are: “Slip tool, Setting proxies improved; preview individual strips (feature back from Blender 2.4x)”. Also, let me use this post to say thank you to everyone. In a bit more than 3 months, this website has had almost 11.000 views. The download link for the Blender Velvets addons has also been hit over 350 times – this particular piece of information being actually the reason the whole website has been created. A special thanks goes to Alban Sanz, who has not only translated the site to French and Spanish but also managed to spread the word (and the glitter) in Europe about it. Glow!